Cyclocross season is wrapping up for many of our racers and what a great season it's been! 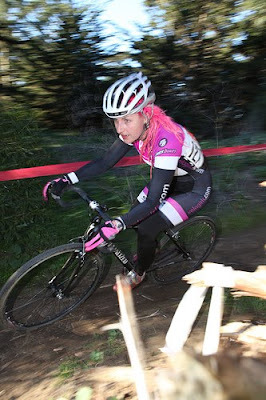 Last weekend was the classic race at Golden Gate Park. 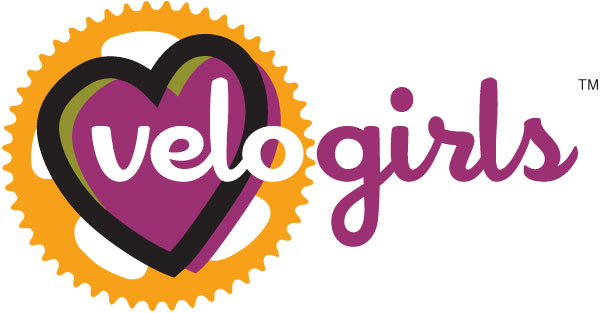 New Team Velo Girls member Gnat Harris sends this report on last week's festivities! Gnat, focused on the task at hand! Golden Gate Park was a great place to race. It was rather nice that it was on much of the same terrain that the Velo Girls Cyclocross clinic was held, so there were not as many surprises as some of the other circuits. Still, a chilly morning gave way to a sun-soaked afternoon when the arm and leg warmers all started to come off. For the most part the course was flat and not very technical. The few spots that defied that previous statement did so with bravado, as certain turns and slopes would cause pileups in the dozens. For instance the women's C race got tangled immediately after the first turn. One woman went down, taking a few others with her, and backing up the rest of the field. Getting around that found us into another brake, as someone had gotten caught in the tape. No one was hurt, and I was most amused that one woman came up to me hours after the race, congratulated me, and immediately apologized for causing the crash. It was great to watch our own Jenny Feix on the same track as legends Katerina Nash and Barbara Howe. Tough crowd out there, but what a show! One last race in the Pilarcitos series this coming weekend. Ring a cowbell for the girls in pink!